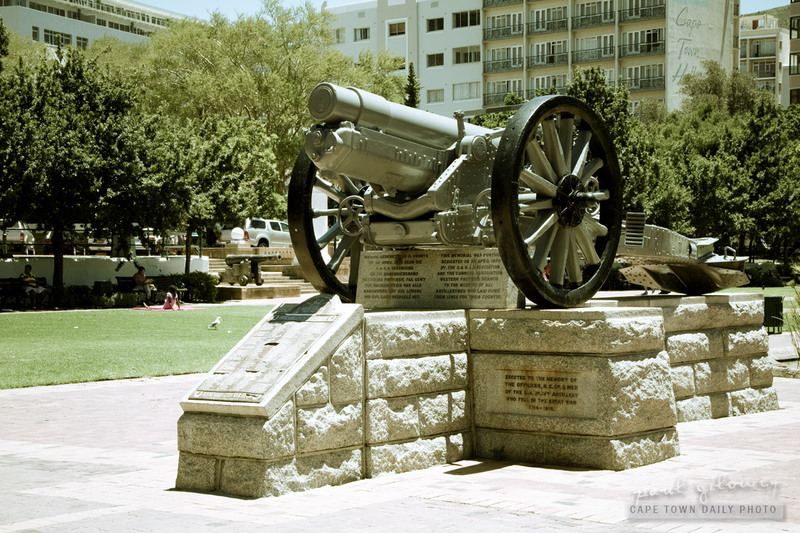 The Cenotaph in Buitenkant Street (at the bottom of Adderley) is a memorial of those who died in the World Wars, as well as for those who died in the Korean war. "I cannot but believe that the existence of these visible memorials, which are to be found throughout the world – silent witnesses to the desolation of the war – will through the years to come, be potent advocates of peace and will eventually serve to draw all peoples together in mutual understanding." I can say, that looking at these memorials up close, I can see exactly what he meant. Whether they'll have any effect on war-makers; of that I'm unconvinced. 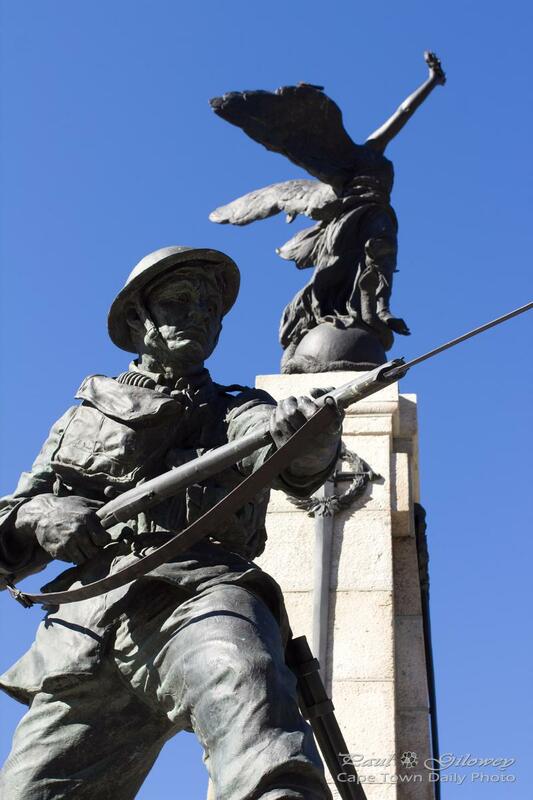 Posted in General and tagged history, memorials, war on Monday, 27 April, 2015 by Paul. Posted in General and tagged artillery, war on Wednesday, 8 February, 2012 by Paul.